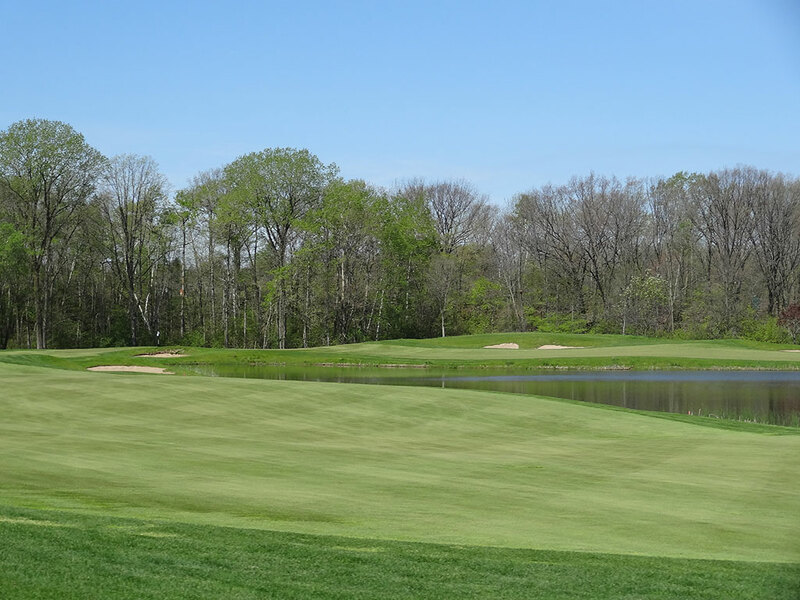 Course Website: Official Website - Visit The Bull at Pinehurst Farms's official website by clicking on the link provided. What to Expect: Jack Nicklaus' design just minutes from the famed American Club, home of four highly acclaimed public courses that includes Whistling Straits, delivers a formidable test for less money than its nearby rivals. From the tips, the Bull is a bear with one of the stoutest ratings and slope you are likely to face. 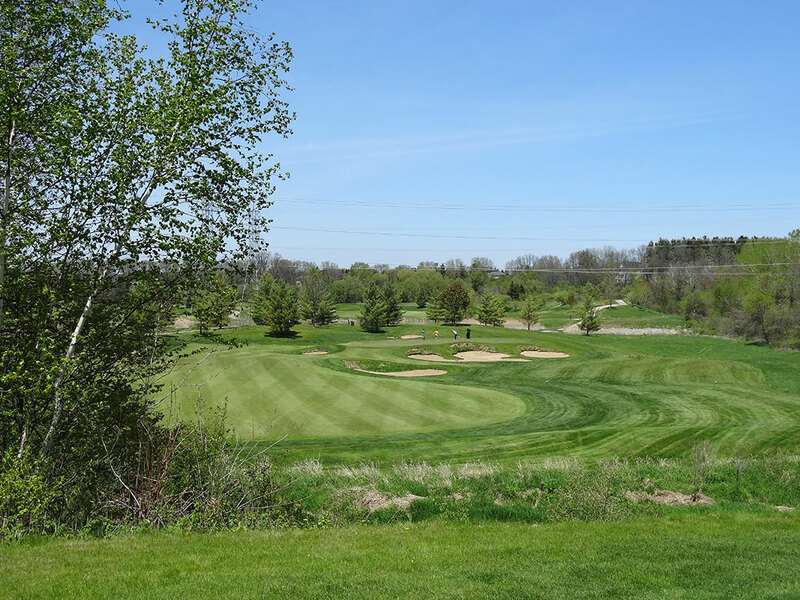 The opening three and a half holes will have you thinking you overpaid for your visit, but what ensues after that is a string of impressive golf holes that is sure to impress and will quickly put a smile on your face. The terrain features numerous elevation changes throughout and includes the occasional forced carry. 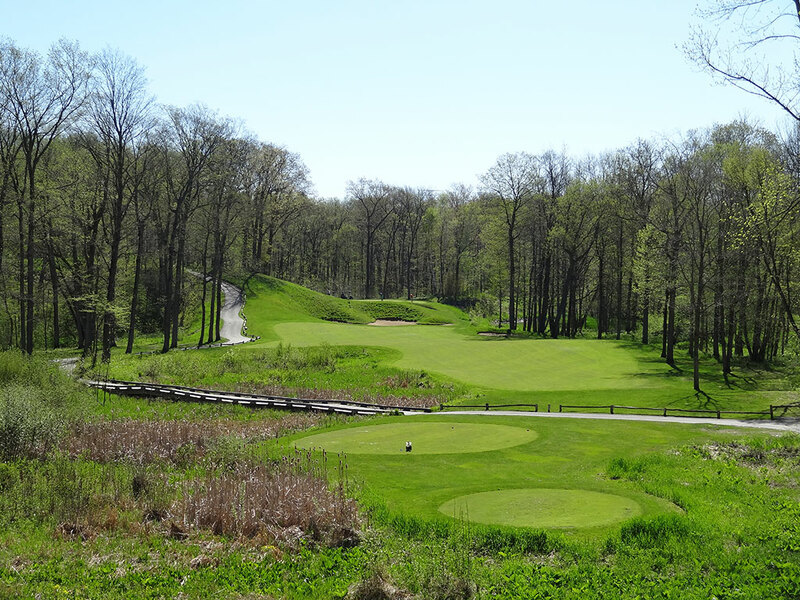 Mature trees frame many of the fairways while the routing features a good variety of holes demanding left-to-right and right-to-left movement off the tee. The tee boxes are well spaced and help ensure that players from the front tees will have much less trouble to contend with on their drives. Course conditions are very good and the GPS carts are not only enjoyable to use, but help keep pace of play moving. 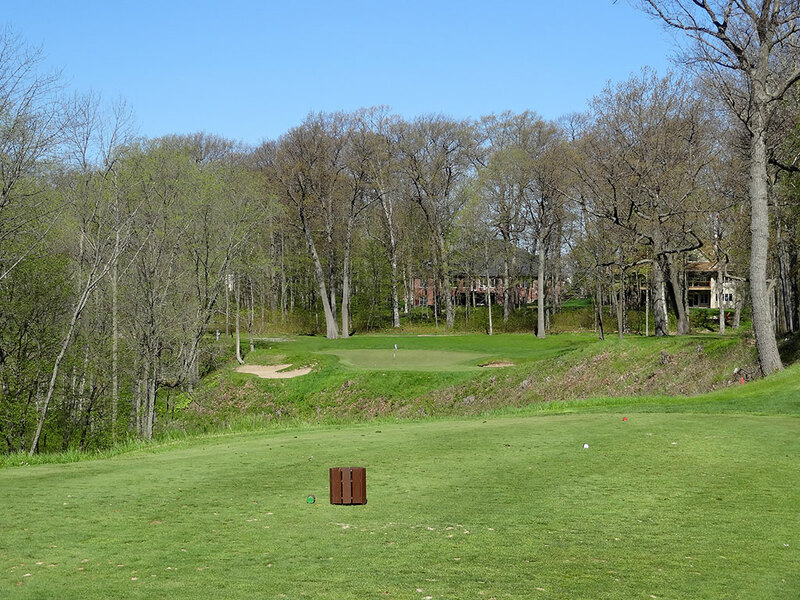 While the Bull can't compete with the likes of Whistling Straits or Blackwolf Run, it is certainly one of the finest public offerings in Wisconsin. Signature Hole: 7th Hole – 321 Yard Par 4 – The problem with reviewing Nicklaus courses is not finding a hole worthy of being the signature offering; it is picking from a handful of options and sticking to your guns. At The Bull I'm going with the 7th hole which provides a cool combination of being quite attractive from the elevated tee along with potentially being driveable. As is always the case with Jack, he isn't going to deliver the reward of such a short hole without taking on some risk along the way. Trouble is found up both sides of the fairway as the entire hole is encased by trees and an extremely deep bunker fronts the green like a catchers mitt ready to consume balls that aren't up to the task. The raised green makes the fronting bunker all the more intimidating while also delivering character to a great hole. 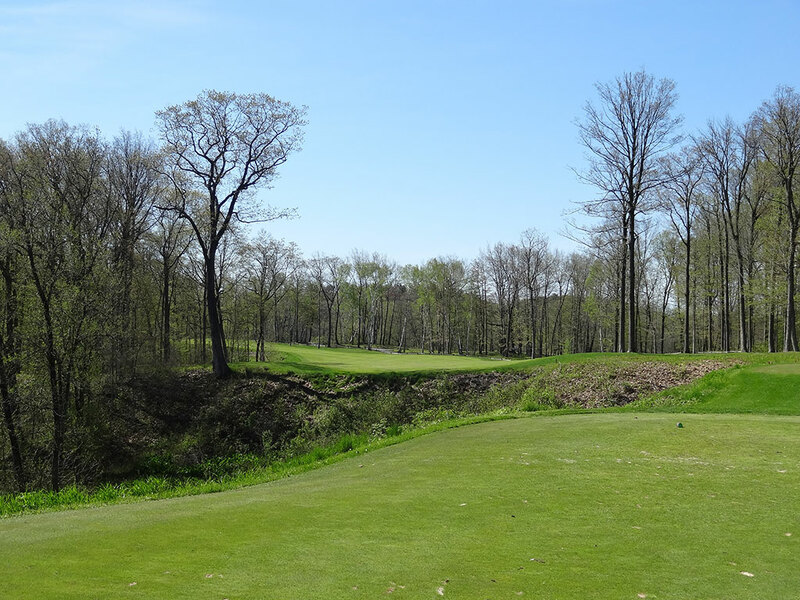 Best Par 3: 6th Hole – 193 Yards – This solid one-shotter requires a carry over a ravine to a green set in an amphitheater of trees and protected by bunkers on both sides. The two tiered green makes front pin locations especially treacherous as players need to take enough club to carry the ravine but not so much to put themselves in a position to three putt or chip back onto the sloped green. This hole represents the middle of a fantastic three-hole stretch that highlights the front nine. 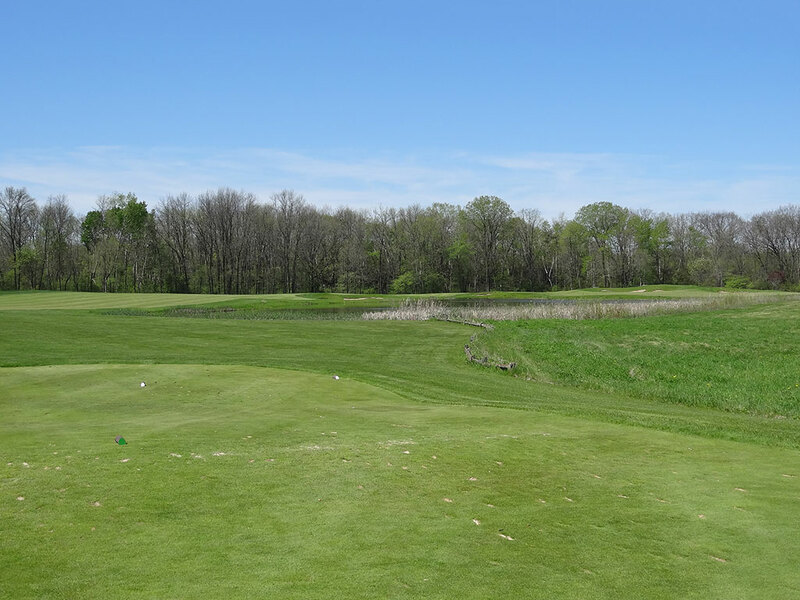 Best Par 4: 5th Hole – 436 Yards – The dogleg left 5th hole is a very well designed hole that is both enjoyable and challenging on several levels. 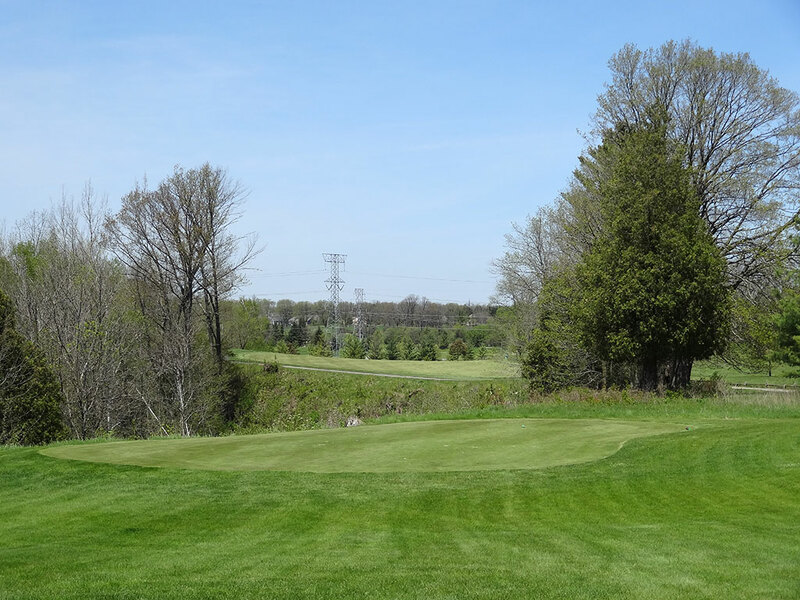 The fairway is hugged by trees on both sides and the green isn't unveiled until after the dogleg where players are presented a view of the putting surface with a sharp left edge supported by railroad ties. Players managing to find the sliver of playing area between the railroad ties and the natural drop off will have a precarious situation to navigate trying get back onto the putting surface without the railroad ties deflecting it away out of play. From the challenging tee shot that calls for a draw off the tee to the demanding approach shot into a unique green site, the 5th hole is one of the most difficult and rewarding holes to play at The Bull. Best Par 5: 17th Hole – 572 Yards – The 17th hole at The Bull is one of the most fun to take on as the undulated terrain sets the scene for an exciting experience. The tee shot plays to a hill that blocks the view of the second half of the hole resulting in anticipation by the golfer of what they will find next. As players crest the hill they are presented with an uninhibited view of the green resting at least 40 feet below the player begging to be reached in two. 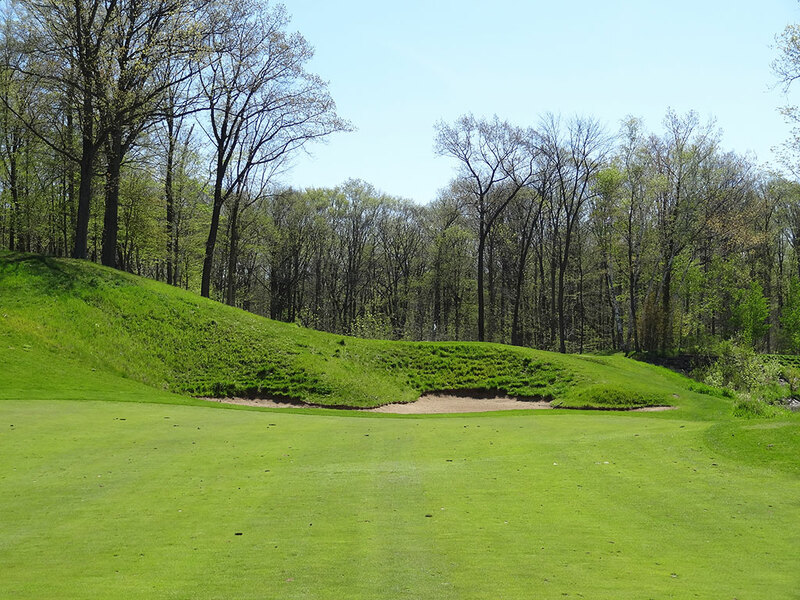 Golfers electing to layup should play to the wide point of the fairway below which will effectively keep them short of the collection of bunkering surrounding the green. A fairway metal from the top of this hill tracking for the green is one of the most exciting shots afforded at The Bull. Birdie Time: 11th Hole – 353 Yard Par 4 – Nicklaus comes through with a brilliant short par here at the 11th that can be driveable for players long enough to take their tee shot over the water on a line directly at the green. The safe play is to take your tee shot as far as you can up the left side without going too far and entering the trees. From this spot you will have the optimal angle into the green and successfully giving you the green light to attack any pin location. Hitting a tee ball straight at the green requires significantly less distance than the yardage on the card shows but is still reserved for long players. This is a hole that everyone will enjoy. 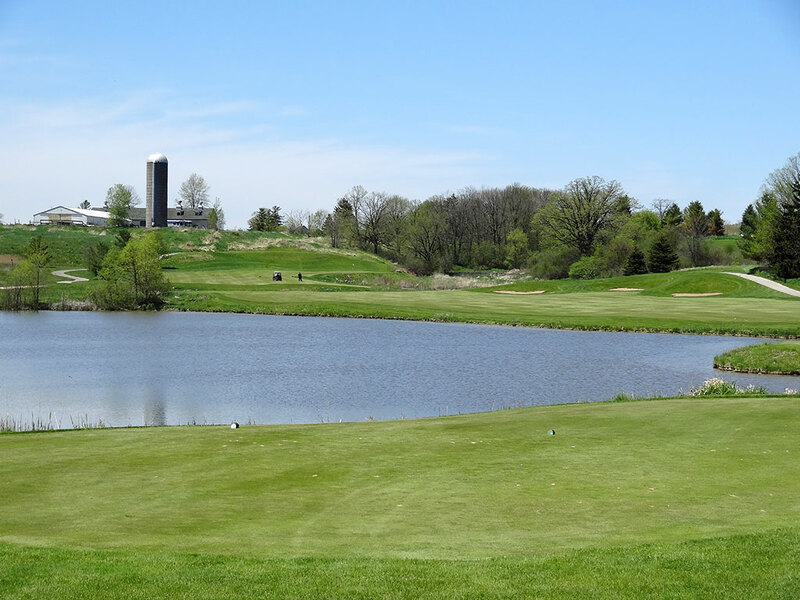 Bogey Beware: 18th Hole – 485 Yard Par 4 – The finishing hole at The Bull provides the day's biggest challenge as players face a long par four that requires a forced carry over water off the tee before climbing uphill to the green. 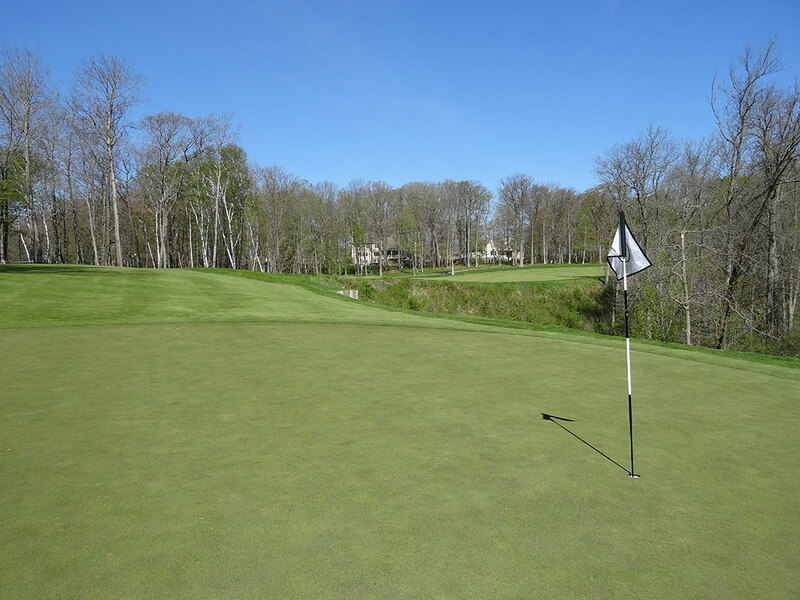 With the wind often in your face, this green becomes very difficult to reach in regulation and acts as a wrecking ball for players needing to record a par in order to meet any personal goals. Approach shots coming up short and to the right will be lost forever in a marsh area while longer shots will have the opportunity to utilize the backstop behind the green for safety. Greens in regulation don't occur here often as Jack saved his toughest test for last.